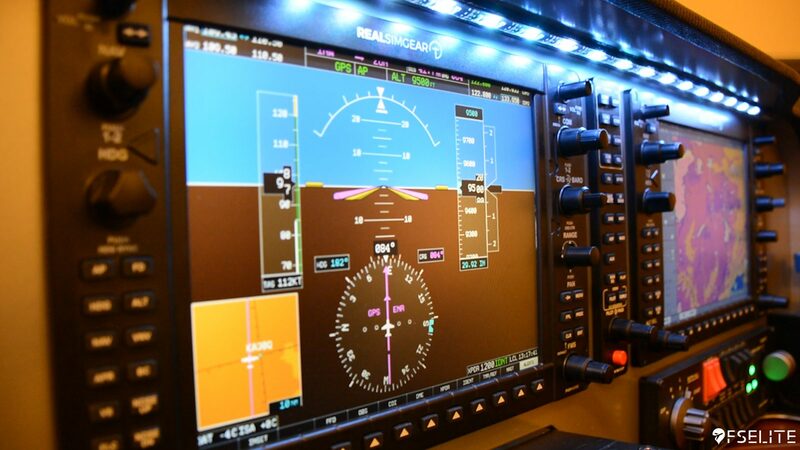 Stay Level Avionix is a relatively new company that was founded in 2018. 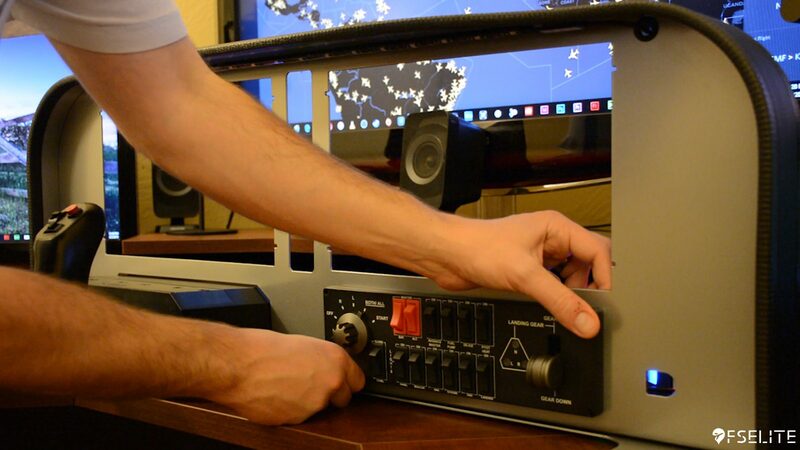 They offer an excellent solution to desktop cockpit panels by providing strong and easy to use panels that do not require any mounting. These panels come in a range of hardware styles and colors. 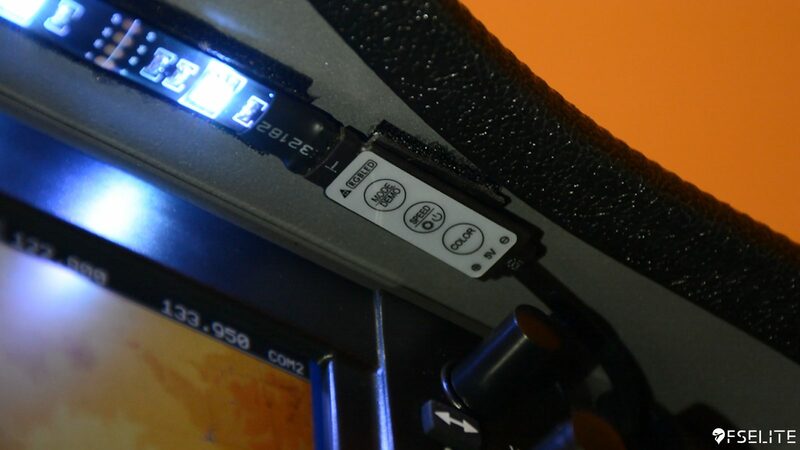 They are compatible with Saitek/Logitech, Simionic and Real Sim Gear hardware, with more brand compatibility coming in the future. The SLAVX model 10 arrives snug between bio-degradable packing peanuts. Once the panel is removed from the box, it can be placed on your desk as it does not require assembly. For this review we will be looking at the silver color, but you can also choose black, grey, red and yellow. This model is 25 inches wide, 11.25 inches tall and 9.5 inches of depth. They also weigh 11 lbs (20 lbs once the hardware is mounted). Structure is very important when you’re trusting a panel to hold your instrument hardware. These panels are assembled with very neat and strong welds. You won’t find any plastic on these panels. One of the coolest things I noticed right away is the glare shield is a soft top that really adds a nice look to the panels. Another feature is that the LED lighting is already done for you. A single USB connection powers the lights, emitting a nice glow with many colors to choose from. When flipping the panel over, you will notice several silicone feet. 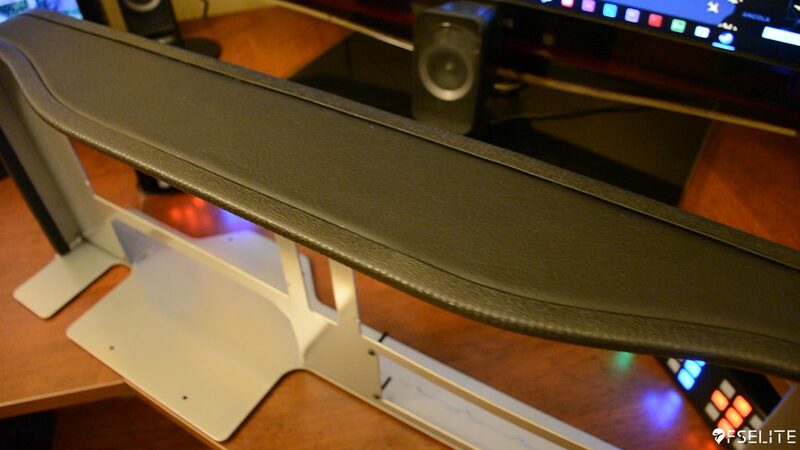 These help protect your desk from scratches by giving the panel lift and restricting it from sliding. 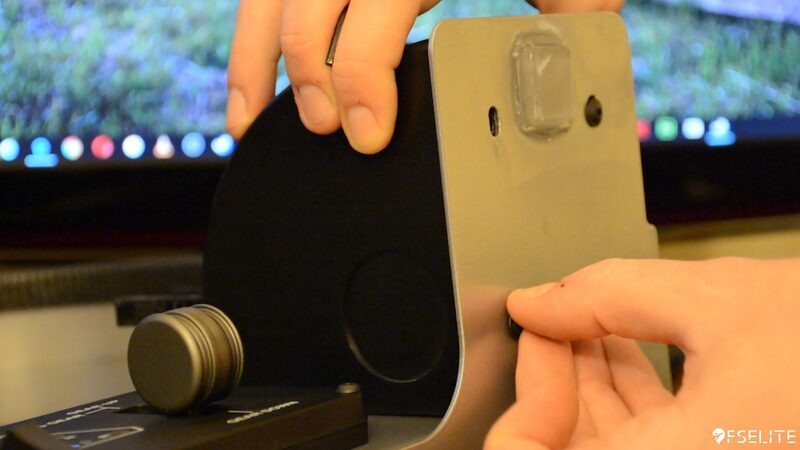 This is one of the key components that makes this panel work great on your desk. 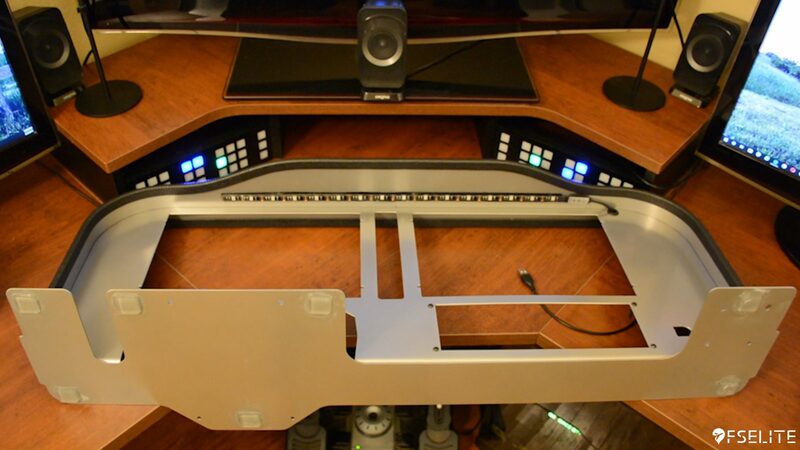 The desk I will be using has a height of 35 inches with a platform that raises the monitor by 7 inches. I am using a 40 inch monitor which nearly spans across the width of the panel. Setting up the hardware is easy to do with the provided Allen wrench and screws. The installation took me about 20-30 minutes to complete. 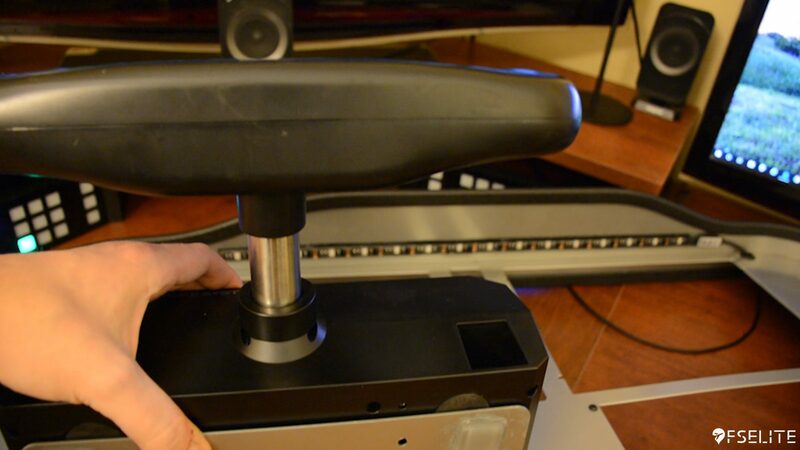 The only noteworthy thing about the installation process is after you bolt the yoke to the panel, you can still use the clamp provided by Saitek/Logitech, but it is not required. 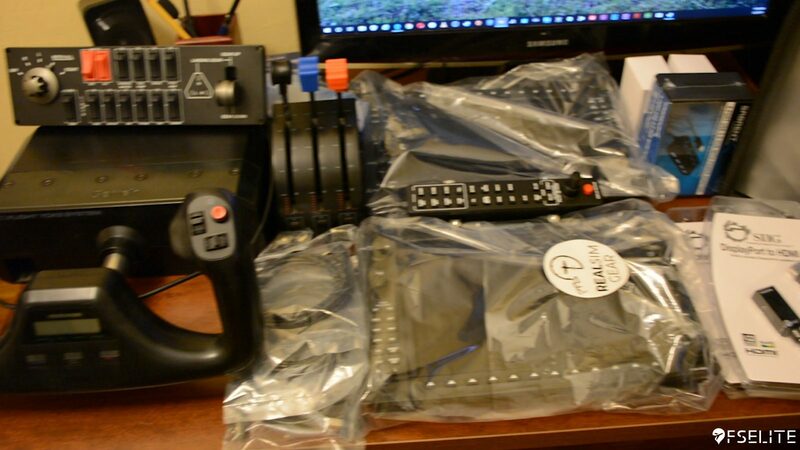 The weight of the panel/hardware and the grip of the silicone feet prevent the panel from going anywhere, as long as you are not violent with the controls. When pushing on the panel, you will notice it only leans and does not slide. I imagine when these panels support the 20lb Yoko yoke, this movement will be even further restricted. After setting up the panel, I was ready to fly. 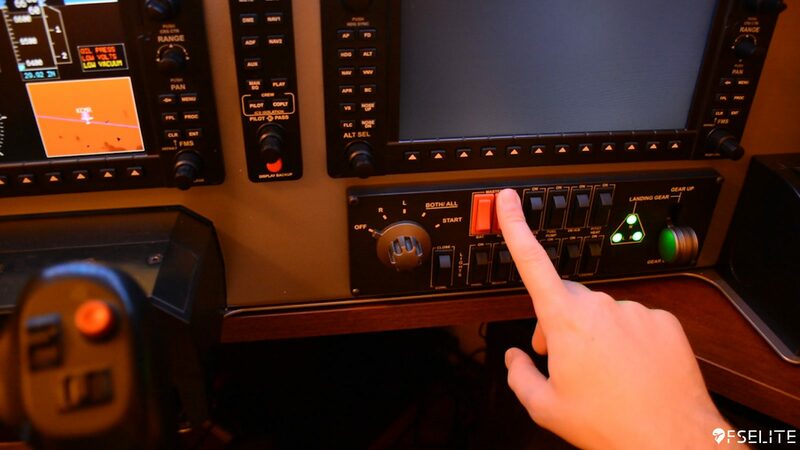 The first flick of the battery and avionics switch was very immersive. I’m not used to having the physical glass hardware right in front of me very often and it was a very nice luxury to have. The ease of having each switch right in front of you makes it so much more realistic. The height of my desk worked perfectly with the height of the panel. 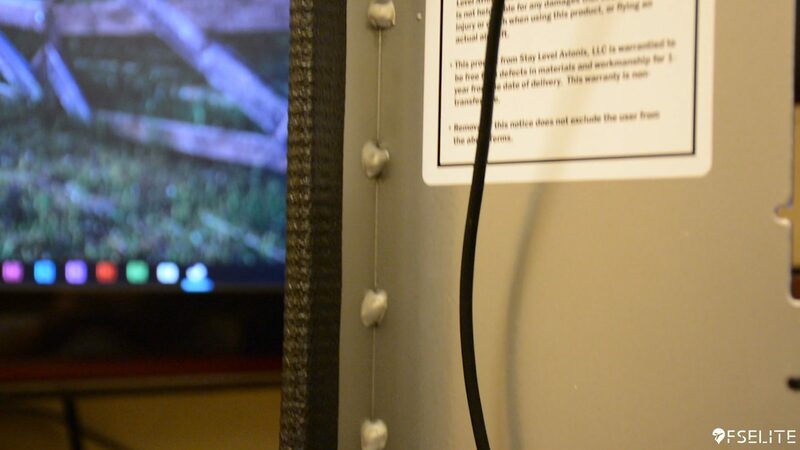 It allowed me just enough room to hide the base of the monitor, as it’s covered by the top of the panel. After powering the primary/map display and the LCD lights, this panel comes to life. 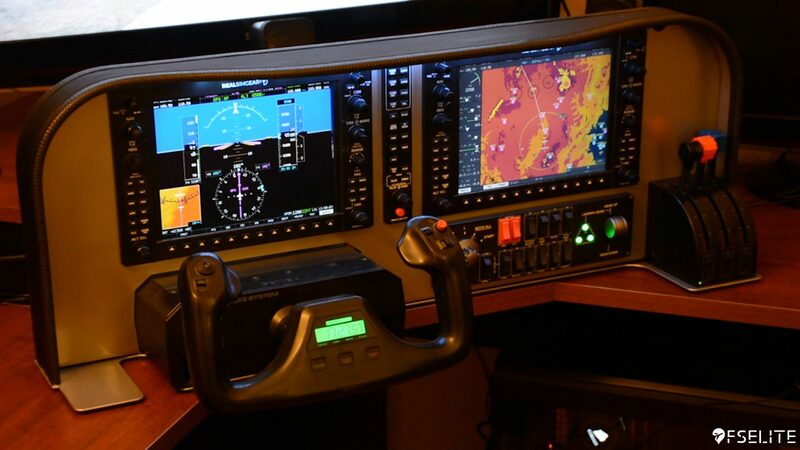 The face of these panels give you a good sense of a G-1000 cockpit. 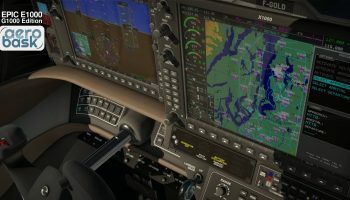 The only flaw I experienced is a glare on the map display side due to the Real Sim Gear screen and the angle its facing. At times I needed to lean over to my right to get a clear picture of the map. 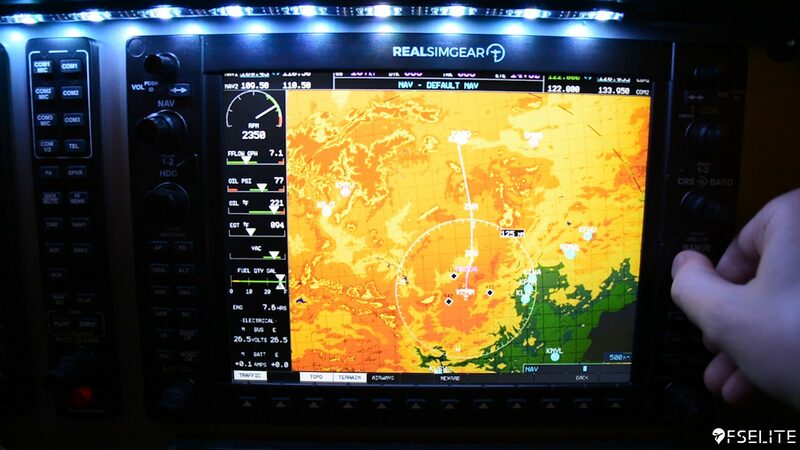 I could not achieve this same glare on the primary display, only the map display screen. 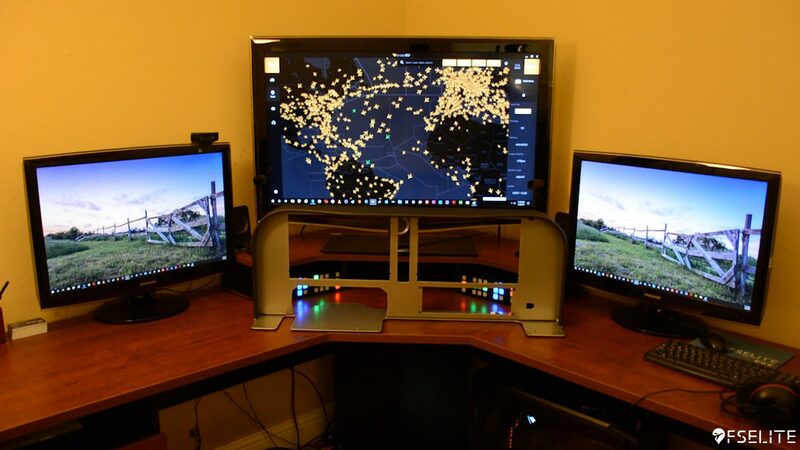 If you’ve had any G-1000 experience you will feel right at home with a setup like this. 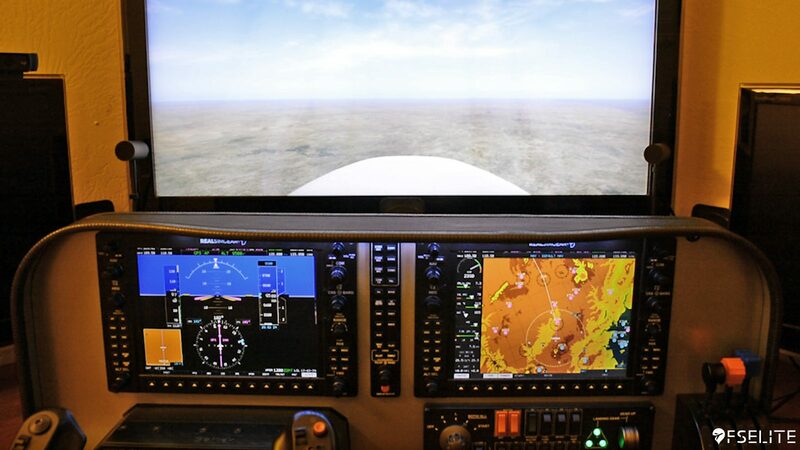 As you scan the instruments, you are exercising your eyes and building the muscle memory it takes to operate a similar aircraft. It allows you to go through the basics and understand the concept and order of the operating procedures. These panels are in the mid-range market, priced at $509. The other panels they sell cost between $439 usd and $579 usd. 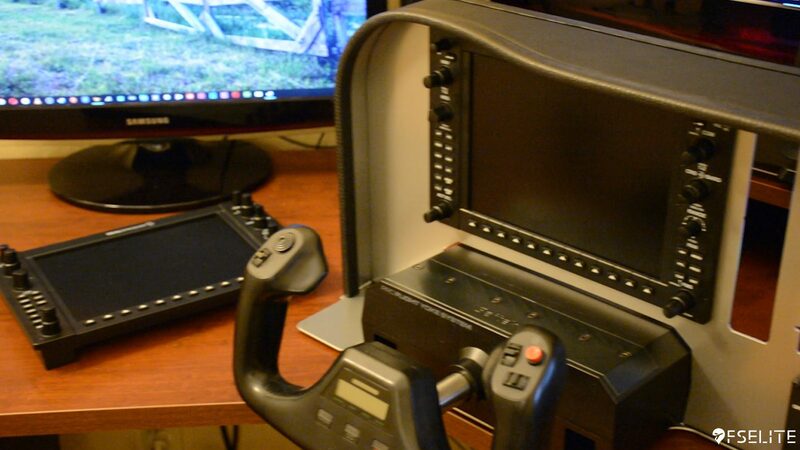 A fully configured SLAVX model 10 panel with Saitek/Logitech and Real Sim Gear hardware will run you about $2900 after all the hardware has been purchased. 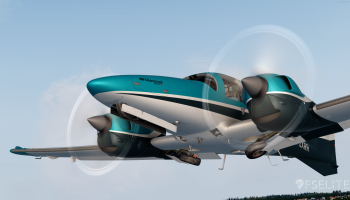 This is a fair price for a sim that will make you very familiar with a G-1000 equip aircraft. It can possibly cut down on your ground school time or keep you sharp when you can’t fly. 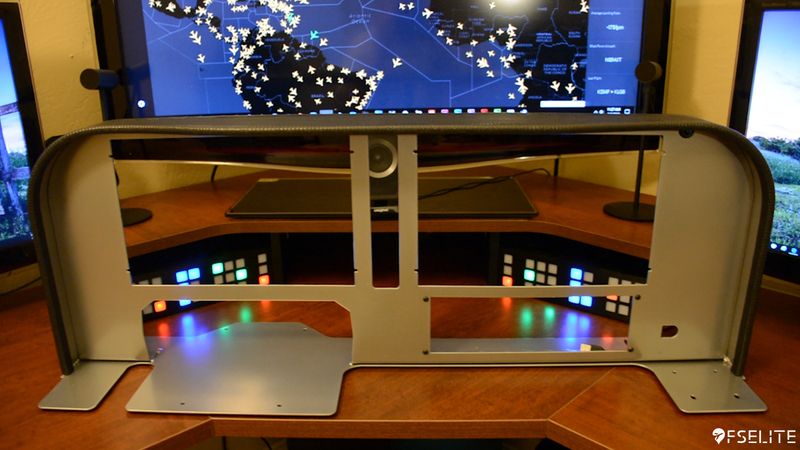 If you’re looking to easily turn your desk into an airplane simulator, then I highly recommend these Stay Level Avionix panels. They work just as advertised and look awesome! I have been excited to use these every day. The ease of setup and mobility of these panels make them an excellent choice when building a sim. I can see these panels being great for schools, museums, and of course right in your home. I really enjoyed using these panels. 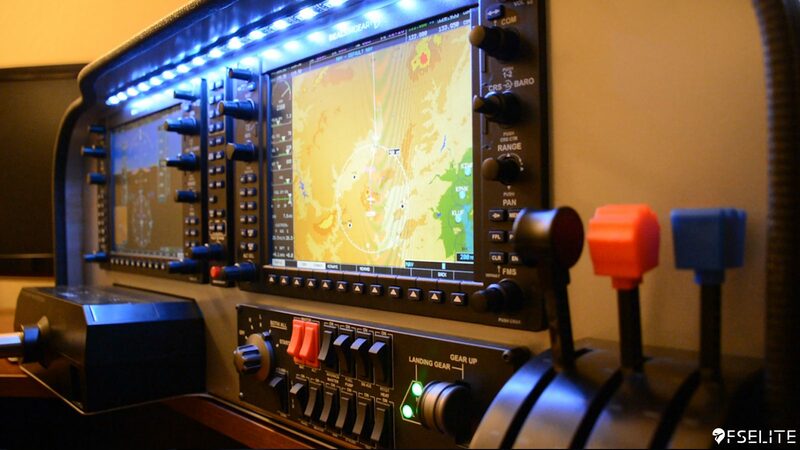 I beleive these panels can not only be used for fun but to keep you sharp when you're training or unable to fly. They're sold as desktop panels and they work just as promised. 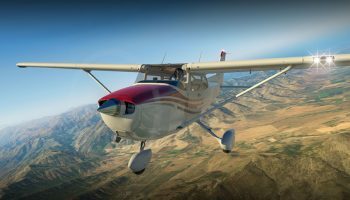 If you're looking for a G-1000 simulator check these out! 9.3 Out of 10 How do we score? | Feedback? Patrick, our most senior video producer joined FSElite in July of 2016. He has a passion for aviation film making and photography. First debuting on YouTube as The Flight Sim Deck in 2015. 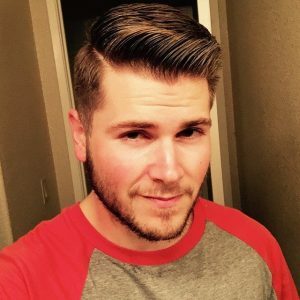 Patrick has grown his channel to over 10,000+ subscribers. From his armchair, he enjoys flying all kinds of different aircraft including modern jets, small props, helicopters, and combat aircraft. He has some glider experience and has an interest in getting his PPL one day.